If you manage a multi-unit property, maintenance of the common areas and building exteriors such as residential window cleaning falls on you. Many property managers and homeowners associations (HOAs) spend a lot of time finding professionals to perform the various tasks that come with property maintenance, like window cleaning. If you’re in upstate New York or northern New Jersey, you can rely on the professionals at All County Window Cleaning to handle many of these maintenance tasks. Their residential window cleaning services encompass more than that—they offer pressure washing for sidewalks and siding, gutter cleaning, roof raking, and more. Nothing shows potential tenants you care about them and the property more than keeping building exteriors pristine and common areas clean. 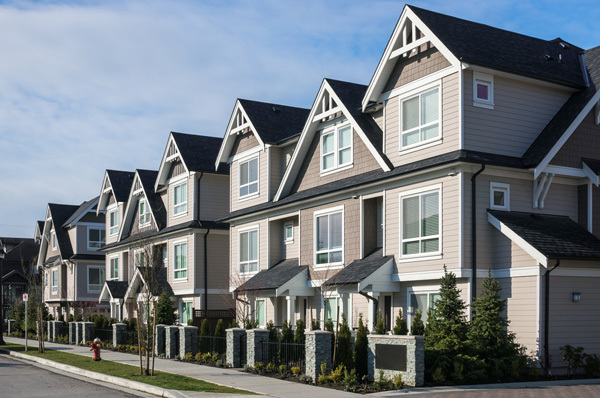 Regular maintenance will keep your unit exteriors looking like new and clean, well-maintained common areas are places potential tenants will envision themselves spending time in. The better these areas look, the better your chances of attracting and retaining quality tenants who will take equally good care of the units themselves. By hiring a company that can do more than just residential window cleaning, you’ll spend less time looking for and evaluating professionals to handle various maintenance tasks. This can leave you with more time during HOA meetings to discuss more important issues, while ensuring vital property maintenance doesn’t fall by the wayside. Hiring a residential window cleaning company that’s also equipped to handle gutter cleaning, pressure washing, and other tasks will save you money in two ways. First, you aren’t paying multiple professionals, which may have varying rates that could cost you more than hiring just one company. Second, these vital preventive maintenance tasks will protect your property from damage caused by clogged gutters and other problems that can lead to expensive repairs. If your HOA’s goal is to attract new tenants while saving time and money, you can’t go wrong with All County Window Cleaning. They can handle your residential window cleaning and other preventive maintenance tasks. With their help, new tenants will be flocking to your property. Call them today at (973) 827-8311 or in NY 845-988-5535 to request a bid, or click here to contact us.